A’s & Aces was born out of the ruins of Katrina – a hurricane that decimated a city, and changed the life of Tulane tennis coach David Schumacher. When the storm shut down his school’s tennis program, he found himself thinking about a whole different kind of success. 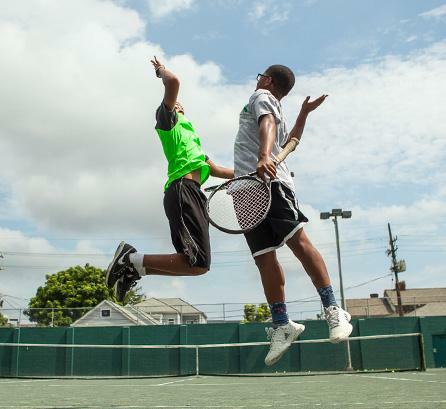 He knew that tennis could help young athletes develop important life skills. He knew that it could do the same for the at-risk children of his devastated hometown. 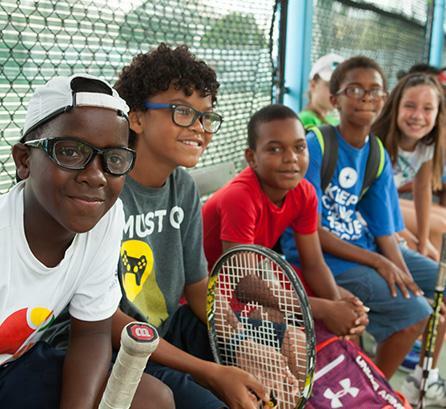 So he created A’s & Aces, a National Junior Tennis League club for public-school students throughout the city. But A’s & Aces is much more than a tennis program. It’s as much about the classroom as it is about the court. Year after year, student by student, A’s & Aces grew and thrived. And TrueSport has been a full partner in that growth. That partnership has included memorable visits from two TrueSport athlete ambassadors: DeeDee Trotter – three-time Olympic medalist in track and field – and, most recently, four-time Olympian Lauryn Williams. Lauryn is the first U.S. woman to medal in both the summer and winter Olympics, but her accomplishments go far beyond those extraordinary achievements. She’s also a tireless advocate for clean competition, a remarkable role model – and a proud TrueSport ambassador. Today, A’s & Aces – partnering with TrueSport – is a real force in the community, helping the children of New Orleans in profound, life-changing ways. 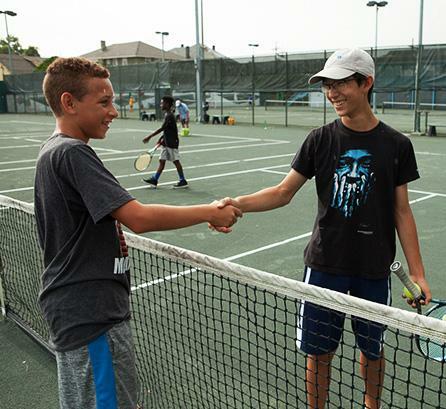 It provides both in-school and after-school tennis programming, holiday camps, and a summer camp – along with a continued emphasis on academics. What began with a handful of kids, from kindergarten to third grade, has grown into a program that’s helping students at every level build the skills they need for success – on and off the court.